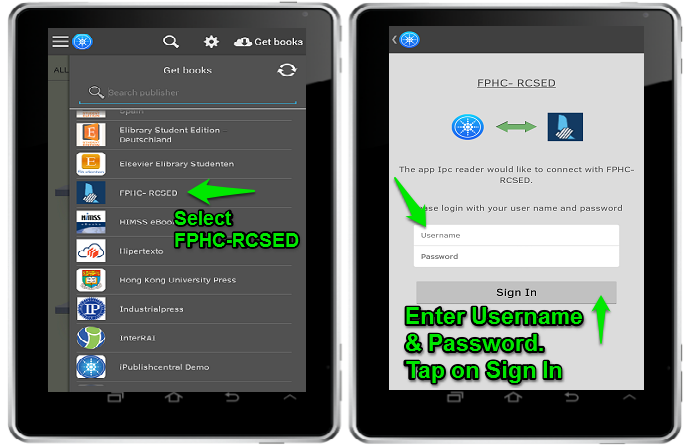 Tap on Get Books and Select FPHC-RCSED from the drop down. 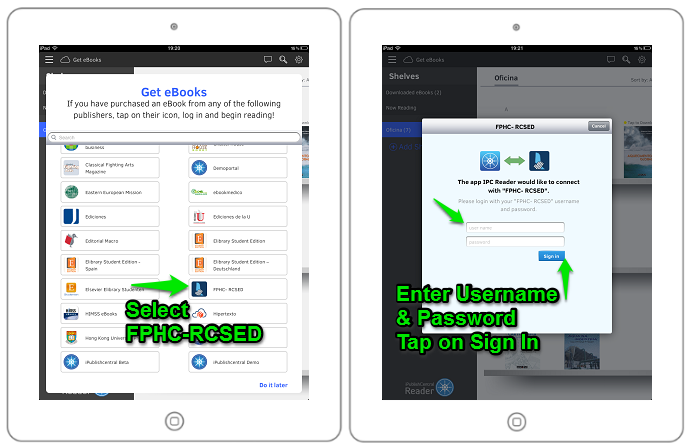 Enter http://ebooks.fphc-rcsed.org/ in the Site URL field. Tap on Get Books and Select Braford Publishing from the drop down.